If you’re a professional writer or a student, you’re likely familiar with English style guides. Although you learned many rights and wrongs in your English classes, not every aspect of the language is black or white. Many style guides exist for English, and each serves a different role. Students may be familiar with APA or MLA style, which we don’t cover in this post. Neither will we cover The Gregg Reference Manual, a common resource for business writing, or British styles such as Oxford. 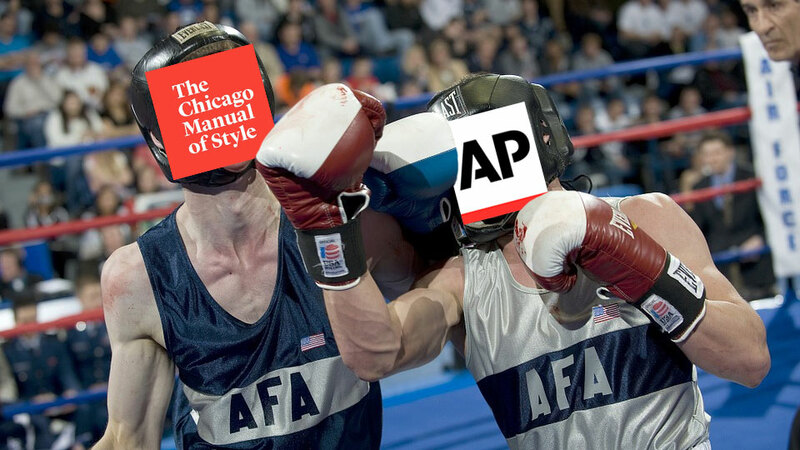 In this article, we’ll highlight two American style guides: The Chicago Manual of Style and the AP Stylebook. We’ll cover six categories: punctuation, capitalization, numbers, abbreviations, spelling and specific words, and formatting. But first, find out how you can strengthen your understanding of style guides and good English. What’s the difference between Chicago and AP? These are two of the most popular style guides for professional writers. Since 1906, Chicago has been the go-to guide for literature. Some students use Chicago as well. The AP Stylebook, first published in 1953, is the bible for journalists. AP style focuses on saving space. Most web writing follows AP style. In September 2017, Chicago issued its seventeenth edition. In this post, you’ll learn about some crucial updates to Chicago and see comparisons of its instructions with AP style. You’ll also see some of the most recent changes to AP style, which is updated every year. It’s important to note that these are style guides, not style rules. Consistency is the most important thing in any written piece. It’s also important to be consistent across a website or company. But in some cases, it’s appropriate to break a rule or use a less-preferred form, such as passive voice. As a professional writer, you need to understand when it’s acceptable to break rules. Writing and editing aren’t like accounting. Pedantry won’t make you popular and may drive you crazy. First, you should follow the requirements of your boss or client, even if you don’t always agree. It’s also best to follow any guidelines that were created to avoid offending readers. You could never memorize a whole style guide, and you don’t want to follow each guideline obsessively. But your reference books will help you write in a consistent and educated way. Reading web content makes learning proper English more challenging. You’ll see both US and world English, which are different in terms of vocabulary, spelling, punctuation, and other aspects. You’ll also see a great deal of writing by speakers of English as a second language. If these writers don’t seek editing by a native speaker of English, you’ll see errors and often a more wordy approach. Add to this the fact that many industries, companies, and brands use their own language. This includes not only jargon but also the “breaking” of certain established grammar rules. If you’re a professional writer, you shouldn’t necessarily rely on other writers for your English education. Despite good editing and proofreading efforts, even professionally written news stories and printed books feature errors. Familiarize yourself with the style guide that’s appropriate for the type of writing you do. When in doubt, consult your guide instead of blindly following somebody else’s writing. (Note: Instructions on the comma are lengthy in both CMOS and AP. Refer to your style guides for a full treatment of this punctuation mark.) Use a serial comma in all instances for clarity. The flag of Italy is green, white, and red. Don’t use the serial comma in simple series. The flag of Italy is green, white and red. Use a serial comma where required for clarity and in complex series. I like chicken salad, egg salad, and peanut butter and jelly. etc. / and so forth / and the like A comma is no longer required after these terms except where needed grammatically. The array of pies, cakes, cookies, etc. made my mouth water. When it comes to pies, cakes, cookies, etc., I simply can’t resist. AP still prescribes a comma afterward in all instances. The array of pies, cakes, cookies, etc., made my mouth water. too / either No comma is necessary before either word if the word comes at the end of a sentence. I like old movies too. I don’t like old movies either. Use commas only when required for clarity. I don’t like old movies, either color or black and white. Participial or adverbial phrase plus conjunction The placement of the comma with a coordinating conjunction (and, but, or, etc.) varies depending on the sentence structure. If the conjunction joins two independent clauses (complete sentences), the comma goes before the conjunction, as it would without the inserted phrase. If the words following the conjunction don’t form a complete sentence, the comma goes after the conjunction. For example, there’s no reason to capitalize a spelled-out abbreviation unless it’s a proper noun. Mid-sentence, or interpolated, questions Capitalize a question that’s included in a sentence but doesn’t require quotation marks. She thought, Is he serious? Bulleted lists Items that aren’t full sentences may or may not be capitalized, but be consistent. Capitalize the first word in a bulleted list, whether the item is a full sentence or not. Close with a period in both cases as well. Note that true news stories use dashes instead of bullets; bullets are more common in web writing. Oxford shoes / Chelsea boots — Capitalize the modifier. Generation X / Generation Y / Generation Z Use an uppercase G. Use an uppercase G.
Unusual capitalization of company names, brand names, and trademarks Retain the organization’s preferred capitalization, even at the beginning of a sentence. The exception is if the name is in all lowercase letters. In this case, capitalize the word to distinguish it as a proper noun. eBay is a great place to find bargains. I publish my blog on WordPress. This store sells Asap skincare. (Stylized by the brand as asap) Capitalize brand names when they’re used. No other specific guidelines are given, but it’s best to follow Chicago’s rule on capitalizing all-lowercase names for clarity. (Note: Instructions on numbers are lengthy in both CMOS and AP. Refer to your style guides for a full treatment of numbers.) Chicago’s general rule is to spell out “zero” through “one hundred.” Large round numbers are also written out. My neighbor has two cars. I saw ninety-nine red balloons. There were eighty thousand people at the protest. I saw 99 red balloons. There were 80 thousand people at the protest. There were 80,112 people at the protest. US phone numbers Please call (1-800) 555-1212. Please call 1-800-555-1212. AP recommends the second example only. Twenty-four-hour time A colon may be used for clarity. The mess hall opens at 0500. Super Bowl No specific reference, but CMOS does state a general preference for arabic numerals over roman. Don’t use roman numerals. Preferably, use the year instead of the number. The New York Giants won the 1987 Super Bowl. The New York Giants won Super Bowl 21 in 1987. US Use without periods as a noun as well as an adjective to refer to the United States. The president visited US troops on Christmas. AP still recommends U.S. for noun or adjectives, except in headlines. The president visited U.S. troops on Christmas. Spelling, general For words not treated by CMOS, refer to Webster’s Third New International Dictionary or Merriam–Webster’s Collegiate Dictionary. For words not treated by AP, refer to Webster’s New World College Dictionary. decision-making Hyphenate as both noun and adjective. He has trouble with decision-making. Our decision-making process may take a month or more. 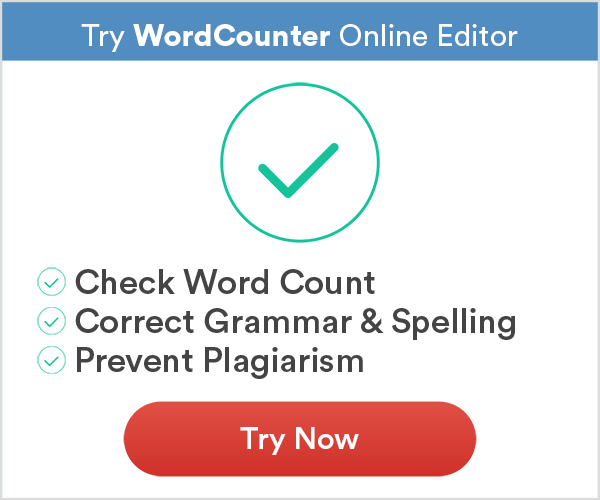 No specific entry in AP or Webster’s New World College Dictionary, but answers in “Ask the Editor” indicate hyphenation always. they / their These pronouns are in transition. Don’t use either as a singular pronoun in formal writing. Recast sentences when possible to avoid the problem. AVOID: The patient may not use their cellphone in the waiting room or exam room. RECAST: The patient may not use his or her cellphone in the waiting room or exam room. BETTER RECAST: Patients may not use cellphones in the waiting room or exam room. Use as a singular pronoun is acceptable in limited cases, such as to protect someone’s identity. The witness said they heard the gunshots at about 1:20 a.m.
Rewording is advised wherever possible. virtual reality — Use VR if desired on second reference. Addiction — Addiction is a disease. Avoid terms that imply judgment, such as abuse, problem, alcoholic, addict, user, or abuser unless quoting a source or organization name. LGBT / LGBTQ — Both are acceptable in all instances; be consistent. versus / vs. / v. Spell out versus in most writing. Use vs. in headlines and other short expressions. Use v. in court cases. Spell out versus in most writing. Use vs. in headlines and other short expressions. Use v. in court cases. Foreign words and phrases Use italics unless an item appears in a standard English dictionary. Do not use italics for foreign proper nouns. My ex-husband is indulging in a bit of schadenfreude. The Swedish man couldn’t find his plånbok. No special treatment is required if the item appears in a standard English dictionary. Otherwise, surround the word or phrase with quotation marks and supply a definition. The Swedish man left his “plånbok,” or wallet, on the train. Emphasizing text Italics are preferred, especially in formal prose and print. Use boldface and underscore as alternatives. Setting words in all caps isn’t recommended for formal writing. AP uses roman type only in news stories. Use your judgment when writing for the web and elsewhere, but be consistent. All caps are typically reserved for headlines, datelines, and a few other instances. Both CMOS and AP are lengthy guides. If you need to consult one or both regularly, we advise you to invest in a copy. You can subscribe to CMOS and AP online or purchase print copies. If you enjoyed this brief comparison of recent changes, please pass it on and hit one of the share buttons below.